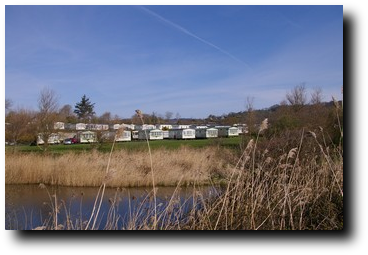 A short stroll will take you down to the beach or to the river which meanders along the edge of the caravan park. You can even try your hand at fishing in the river. The beach is an ideal place for fossil hunting where you are bound to find some interesting fossils. 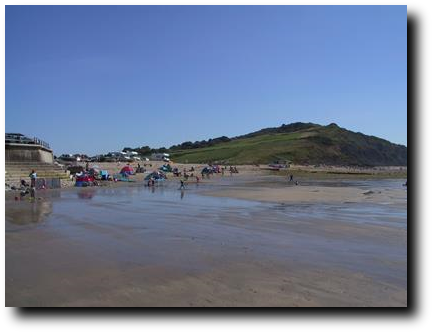 There is also the Charmouth Heritage Costal Center where there are loads of exhibits and hands on activities for the childeren. 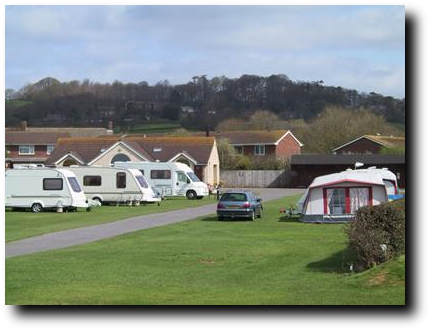 We have plenty of free hot water, sinks for washing-up, showers, toilets, hair dryers and a fully equipped laundrette. Our park shop is open every day to cater for all those items required while on holiday. For those who do not wish to go far afield, why not just put your feet up and enjoy the peaceful surroundings. Dogs are welcome, but must be kept on a lead at all times. 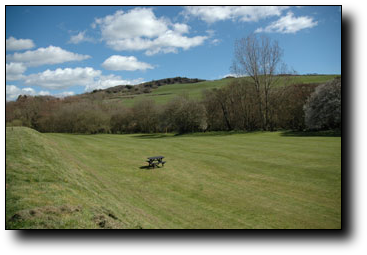 There is a separate play area for children or adults, where you can play tennis / badminton, Skittles or table tennis. 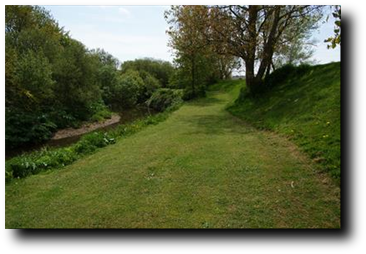 There is also an open area which leads down to the river bank where you can use any of the many bench tables to enjoy your own picnic or barbeque. All our pitches are level and they all have electric hookup. The Toilet block which is heated is a short walk away where there is ample hot water. 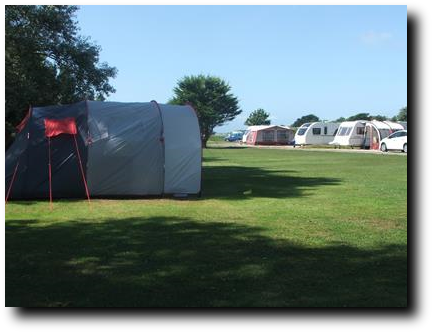 There is also a washing up area as well as washing machines, tumble dryer and ironing facilities. There is also a select tourist information leaflets for you to take away. 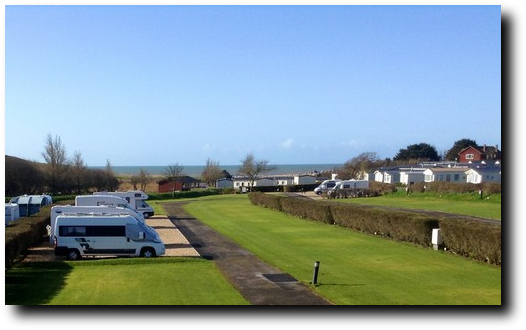 We have an onsite shop which can provide all the basic essentials for you holiday.